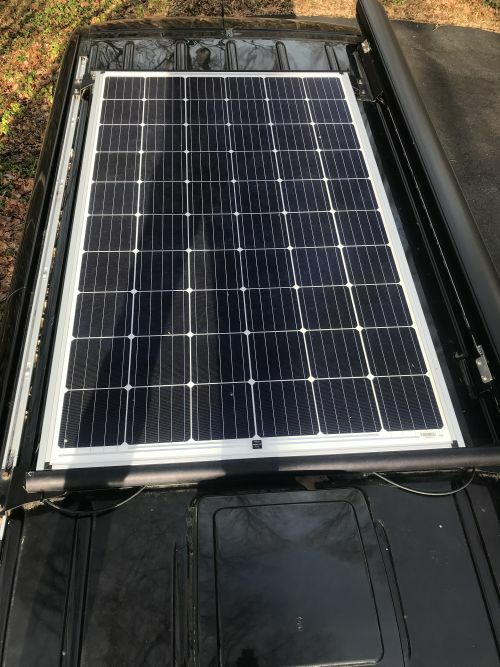 Attached are pics of the solar panel on my sprinter van (170 length). The panel is a Canadian Solar 300watt mono-Si PERC. The mono-Si PERC module has about the highest watts/panel area. You can also fit this panel on a 140 Sprinter. You can now get 400 watt panels, but these are larger area panels. The OEM solar panel has an aluminum frame. I reinforced the OEM frame with an 80/10 15 Series frame along the lengths and widths so the entire solar panel has a 80/20 frame. I drilled holes in the OEM frame to attach it to the 80/20 frame, a bit tricky but nothing too difficult. You may be able to get away with only the front and rear 80/20 bars, but I didn't want to take a chance. 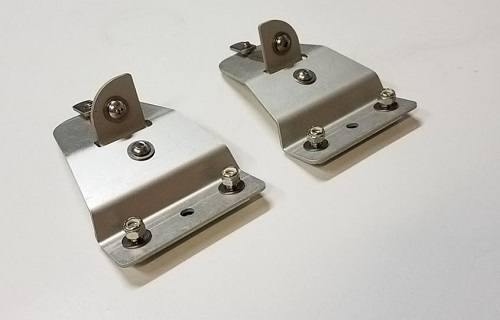 I used the tower mounts shown in one of the pics. These are available on E-bay. 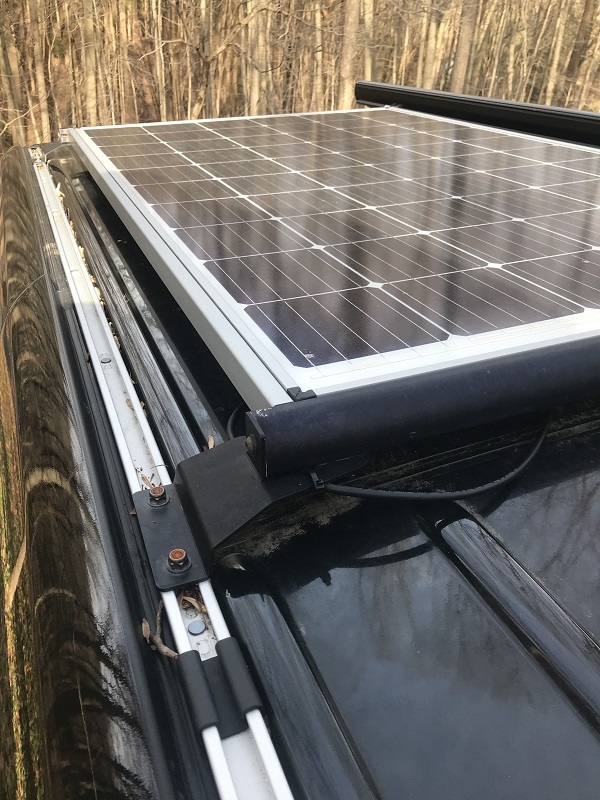 The tower mounts attach to the Sprinter OEM roof rails, and are low profile so the panel is only a few inches off the roof. It’s a nice clean design. The panel has been on the roof for about a year (~20k miles) with no problems including a trip out west where the nominal speed limit is 80 miles/hr. I have a 200Ahr LiFePO4 battery with Victron multiplus and MPPT. The 300 watt panel has no problem keeping the battery charged. So far, so good! Thank you for your help in answering some of my questions! I'll stop by PKYS one of these days if I'm near Annapolis. Thank you for the note Kurt. I looked up the correct charge controller for this panel when used with a 12 volt battery. The MPPT 100/20 is good for up to only 290 Watts so if you used that you would be wasting a small percentage of output. To fully capture 300 Watts the recommended charge controller is the 100/30 which is good for up to 440 Watts. Here is the table and clicking on it brings you to the Bluetooth Charge Controller page.